When I first heard that fish oil supplements helped reduce bad cholesterol I thought that was pretty cool and it has since become common knowledge. Then I heard more and more good things about this powerful supplement that I could hardly believe, such as countless instances of fish oil tablets not only reducing cholesterol but also improving brain functioning and decreasing inflammation. Along with these stories is some sound science to back it up. How can fish oil help you? Isn’t flax seed oil just as good as fish oil? Can everyone benefit from omega 3’s. I will let you be the judge after the facts are presented. 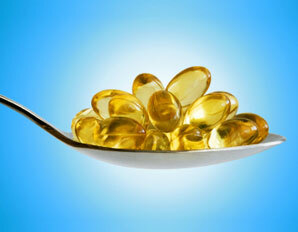 Check out Nutritiongal’s top 8 reasons to include fish oil supplements to your daily vitamin regime. 1.) Reduces cholesterol – Fish oil supplements are made of long chain unsaturated fatty acids that help reduce bad cholesterol (LDL). The long chain fatty acids clean out the plaque in your arteries like Drano by flushing them out as they flow through the cardiovascular system. Fish oil increases your HDL. HDL levels below 40 mg/dL result in an increased risk of cardiovascular disease. If your levels of HDL are 60 mg/dL or above your risk is lowered. 2.) Essential for healthy body functions – fish oil Supplements contain EFA’s or essential fatty acids that are required by the the body to function optimally. EFA’s are composed of omega 3 and omega 6 fatty acids. Since they cannot be synthesized by the body they must be ingested through diet. Because of the vast availability of processed foods the average person is getting more than they need of omega 6’s but deficient in omega 3’s or EFA’s (essential fatty acids). The optimal ratio of omega 3 to omega 6 should be between 1:1 and 4:1 but is 10:1 or higher in many cases. 3.) Fish Oil is better than Flax Oil because it contains (Eicosapentaenoic acid) EPA and (Docosahexaenoic acid) DHA, which as substances naturally found in 8% of the human brain. Flax oil contains ALA, which is converted to EPA/DHA in the body. The good thing about consuming ALA is that your body will not create more EPA/DHA than it needs. Fish oil is best because you get EPA/DHA right away without any conversion, however if you are vegan, flax oil is the best bet. The body needs dietary ALA in addition to EPH/DHA as part of a balanced diet so keep that in mind when choosing your oils. Flax seed oil should be kept in the refrigerator and cannot be used in cooking because the heat will damage the oil and generate free radicals. 4.) Makes your skin beautiful – Omega 3’s maintain the membrane structure of your skin cells and make sure nutrients enter the cells. It is know as the anti-aging supplement. 5.) Reduces inflammation – As mentioned, fish oil contains EPA. The body uses EPA to create many hormone like substances that reduce inflammation in the body. Consumption of Omega 3s has been known to reduce symptoms of arthritis, PMS and depression. 6.) Assists with brain functioning – A few years back there was a mine explosion in West Virginia, USA where only one of 12 miners, Randal McLoy, survived. When he was found he was in a coma due to carbon monoxide poisoning. The carbon monoxide had stripped his bran cells of their protective myelin sheath and he was feared to be brain damaged. His doctor was inspired to try omega 3 fish oil supplementation at several times the recommended, daily dose. Following this high supplementation Randy McLoy awoke from his coma with full mental capacity! For the full story please see below. 7.) Improves eye health – According to various studies, supplementation of fish oil helps reduce dry eye syndrome and decreases your risk of getting macular degeneration (diabetes induced blindness). They also help drainage of intraocular fluid in the eye , decreasing the risk of glaucoma. 8.) Increase libido – EPA/DHA increases the body’s levels of dopamine, which is a feel good neurotransmitter, which increases feelings of desire and overall blood flow. Be sure to look for mercury tested EPA/DHA fish oil that is cold pressed and contains no other additives. For most adults the recommended daily dose is about 300-500 mg per day of EPA and DHA combined, plus an additional 800 to 1100 mg of ALA.
Visit www.nutritiongal.com and fill out a health questionnaire for a free consultation today!